The Asda Baby Event has now finished. To see past dates take a look at my Sales Calendar. I always tend to stock up on wipes and nappies during the events as their prices can drop a lot as the major supermarkets try to complete with each other for the best prices. Asda usually have all sorts of items included – from essentials such as baby gates and sterilisers – to baby toys! Don’t forget that most major stores are also running their own baby event sales – Tesco, Argos and Boots! 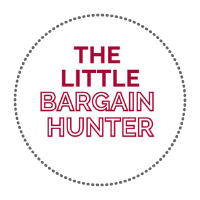 Theres often some good discounts to be found on big name brands like Silver Cross, Tommee Tippee, Chicco, Nuby, Hauck and Joie. See delivery information here* – Don’t forget there is free Click and Collect to your nearest Asda store!